The sea captains of New England traded among the Caribbean Islands, returning to the colonies bearing their heavy cargoes of spices, rum, and a selection of fruits, which sometimes included pineapples. According to the legend, the captain would drop anchor in the harbor and see to his cargo and crew. Once his work was done, he would head home, stopping outside his house to spear a pineapple on a fence post. This would let his friends know of his safe return from sea. The pineapple was an invitation for them to visit, share his food and drink, and listen to tales of his voyage. As the tradition and legend of the pineapple grew, colonial innkeepers added the pineapple to their signs and advertisements, and bedposts carved in the shape of a pineapple were a common sight at inns across the colonies. It is not surprising that this symbol of friendship and hospitality became a favorite motif of architects, artisans and craftsmen. This tradition continues today, for pineapples are still popular motifs for gateposts, door knockers, and beautiful serving pieces. In fact, when we bought our inn in 2004 (above), we bought these pineapple coasters for the rooms and a pineapple throw pillow on a chair in the parlor. But that was all, we didn't want to over do it. 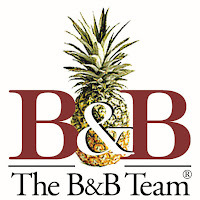 Those of us in the lodging and hospitality industry are proud of the symbolism of the pineapple. Here's a new opportunity to be a part of Portland's ever changing, thriving tourism and hospitality industry. 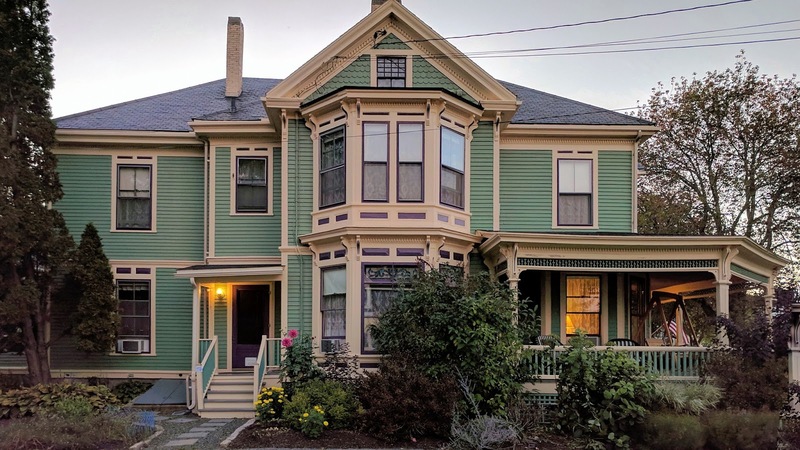 Inn on Carleton is one of a small handful of very successful small bed and breakfasts in Portland, where we see occupancy rates that far exceed the national average. 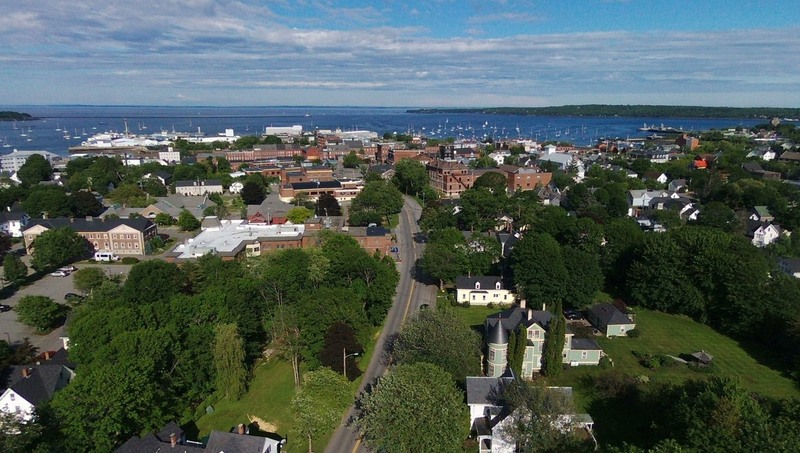 You can live in a wonderful small working waterfront city, be your own boss, enjoy the arts and food scene and enjoy life while you're making money. 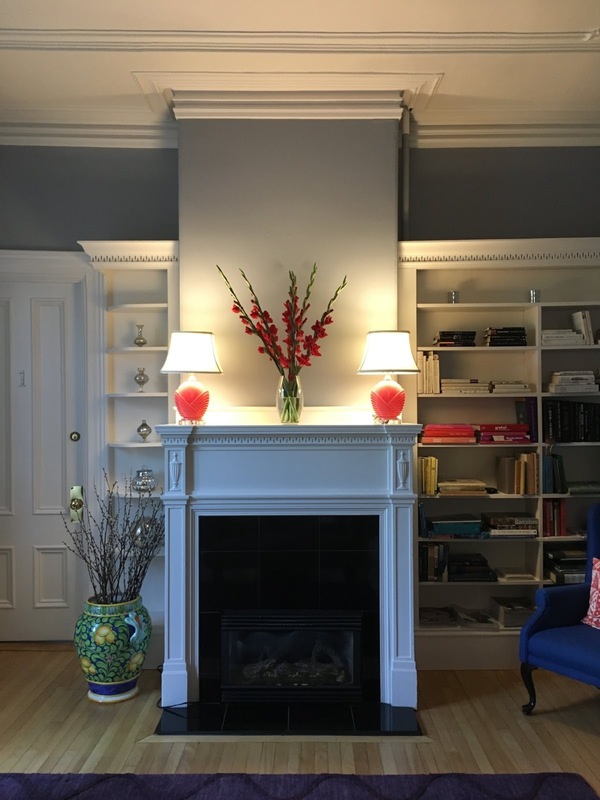 A financially viable business with just 6 rooms, wonderful owner's quarters, in a highly coveted neighborhood. Sound good? I thought so. 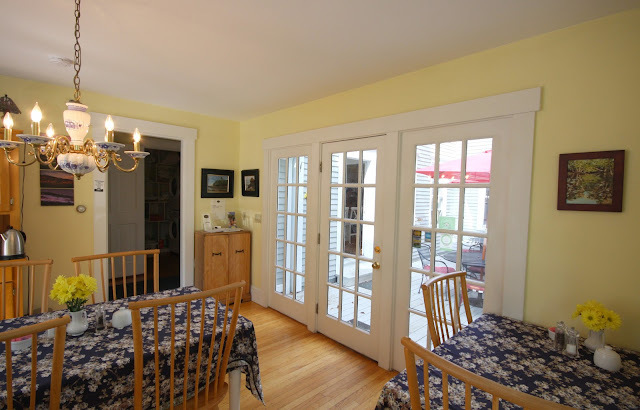 Check out this listing (or my other one in Portland), or any of my listings in Maine! Thanks for looking. In 2016, Maine Tourism was up for the 4th straight year! What's in store for 2017? From the AP: "Maine officials say revenue from the state's tourism industry has increased for the fourth straight year in 2016. A report from the Maine Office of Tourism shows that revenue grew to just under $6 billion last year, an increase of about 6 percent from the previous year. Officials said Wednesday the total economic impact of tourism reached $9 billion. Data shows that visitation has risen to almost 30 percent from the 28 million visitors in 2012. Spending grew by about $1 billion over the same period. Visitors spent the most on retail sales, lodging, restaurants and food. The agency is launching a new marketing campaign this year called "This is Me" in an effort to continue growth. Officials say the campaign aims to frame the state as a lifestyle brand." I personally think this is a brilliant campaign and very accurate message. At 7/30/17, Turnpike Authority reported 1.18 million more visitors over 2016 for the same period. 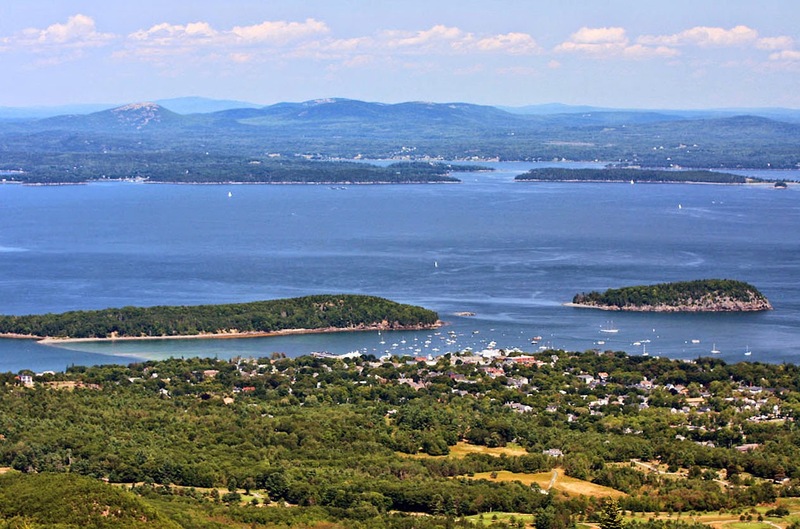 Acadia National Park had its centennial in 2016, but this year for the same period there was a 4% increase. 2016 set a record of 3.3 million visitors to ANP. 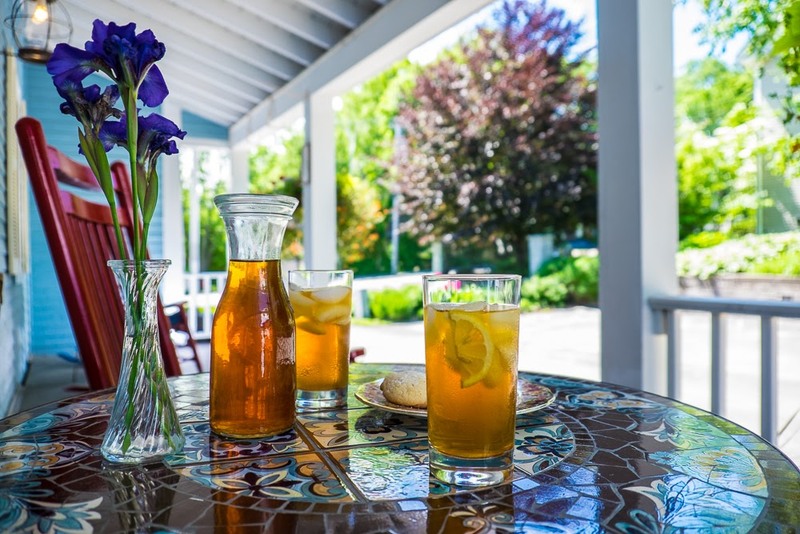 This is very encouraging and reassuring to innkeepers, buyers, and the economy in Maine! No wonder we are seeing so much interest from buyers! I spoke with Frank and PJ, owners of the beautiful Limerock Inn and asked them for their perspective on why they love Rockland. I know why I love it and why guests love it, but I wanted to hear it from them as 'residents' of the vibrant community. They have fully immersed themselves in the community and that's wonderful. It tells me they are where they belong. 10. Authenticity and warm hospitality make if feel like Mayberry in Maine. 9. Where else do youhave the region's best downtown and working farms allin one place? 8. Waterviews everywhere! Fresh water lakes, the Harbor, and beautiful Penobscot Bay. 7. Four season outdoor adventures like hiking, biking, skiing and kayaking. All just minutes away. 6. Our 19th century downtown and historic neighborhoods translate to easy walkability. 5. A vibrant downtown along with regional and national stores make a great year-round destination for all your shopping. 4. Summer means Festivals - Summer Solstice, North Atlantic Blues Festival, Maine Lobster Festival, Maine Boats, Homes and Harbor Show. 3. 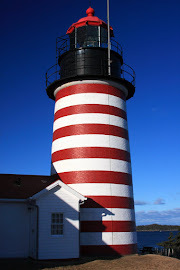 The Farnsworth Art Museum and Wyeth Center, Center for Maine Contemporary Art, Maine Lighthouse Museum and Sail, Power & Steam Museum anchor the downtown with a number of galleries highlighting local and nationally acclaimed artists. 2. 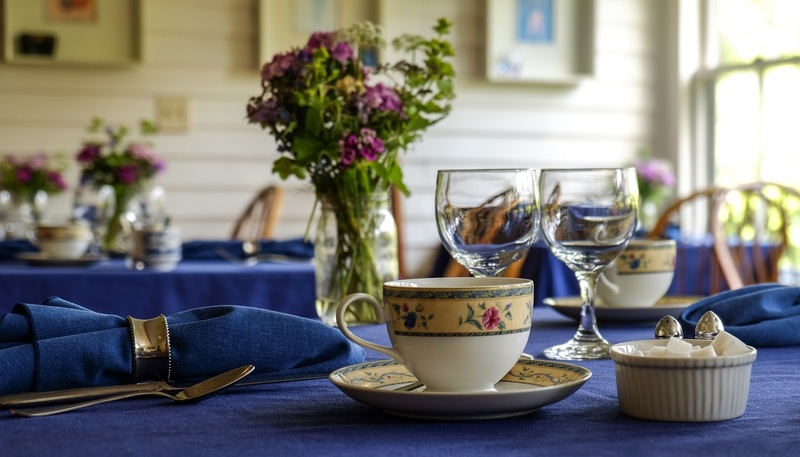 From Primo Restaurant to Thai Tugboat, Rockland offers great quality dining experiences for every budget! 1. 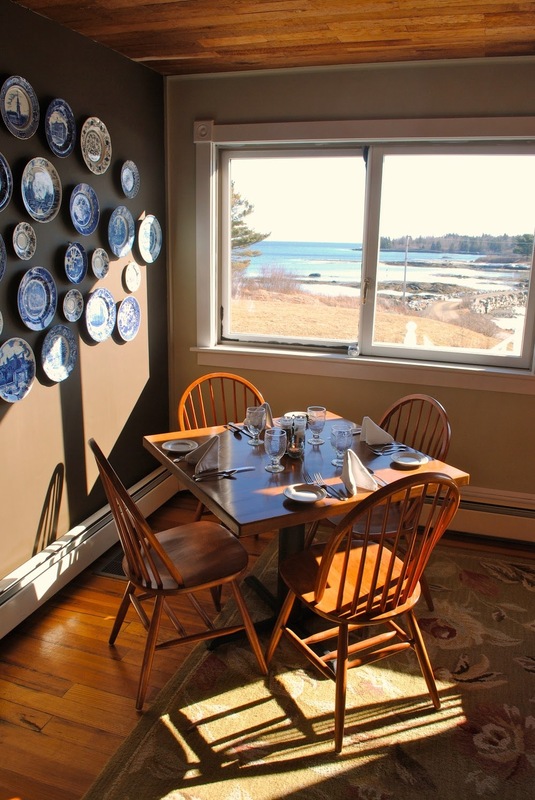 Rockland is what Maine means by the expression, "The way life should be"
Two great Maine inns for sale in Camden; one in the village, one with a view! This is Timbercliffe Cottage, a little under 3/4 of a mile north of the heart of the village, but with a view of the Penobscot Bay. It's a great place to watch the schooners sail by from the front porch. This is Blue Harbor House Inn, situated right in the village. A great spot! These two inns offer something for everyone. And as many inns as I've seen over the years, there are no two alike! Camden is a very popular tourist destination and has really become a year round community. 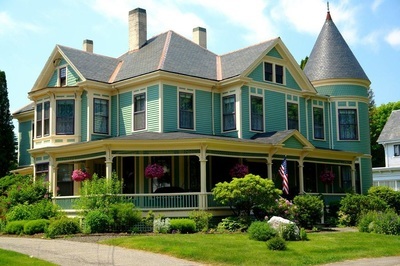 New price on this exquisite Victorian Maine inn for sale! 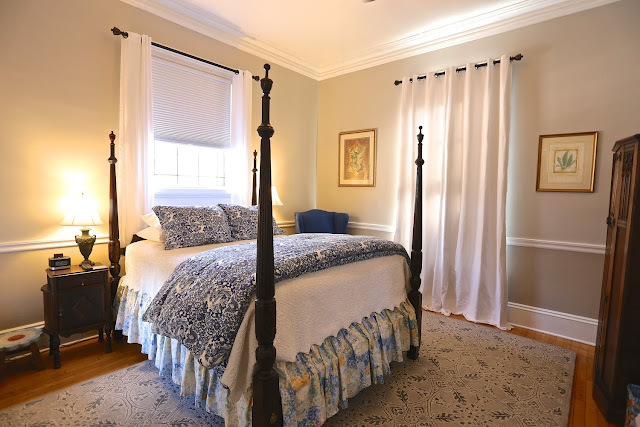 Now offered at $1,295,000 a substantial price reduction ($100k) for such a meticulously maintained inn. 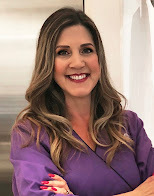 A new owner can come back from the closing table and welcome guests that evening. This is as turnkey as it gets. Recent additions include: new boiler fall, 2017; complete asbestos abatement fall, 2017, new porch roof by 2017 year end (which will complete all roof work, gutters soffits, including an entire slate roof restoration in the last 5-10 years). The entire exterior clapboard and all trim has been freshly painted (and replaced where needed) over the past few years, not just a side or two, and there are a lot of sides (and rooflines) to this historic Painted Lady! 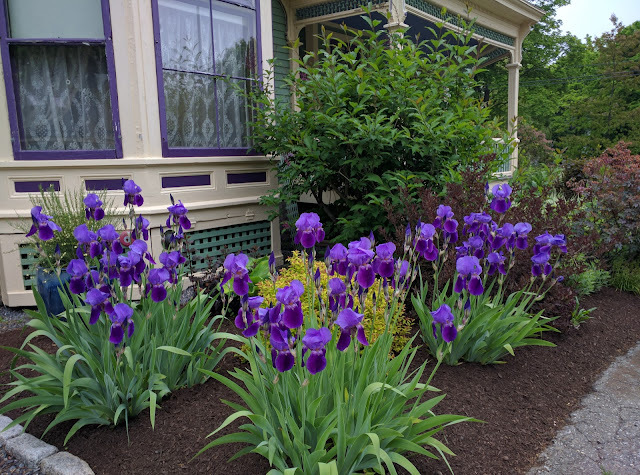 The physical plant of this historic inn is positioned for a new buyer not to have concern about anything but the business of innkeeping. Contact me for more details, or view the online offering below. 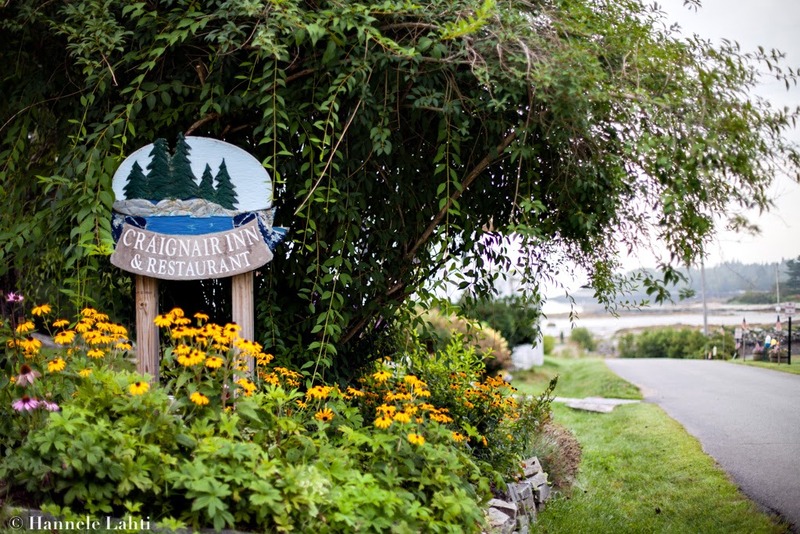 This is The Craignair Inn, a full service waterfront inn on Clark Cove in Spruce Head, Maine. There are 21 guest rooms in two buildings (13 in the main inn, 8 in the annex), a 45 seat restaurant, 2 bedroom 2 bath owner's quarters and wonderful venue for small events and weddings. 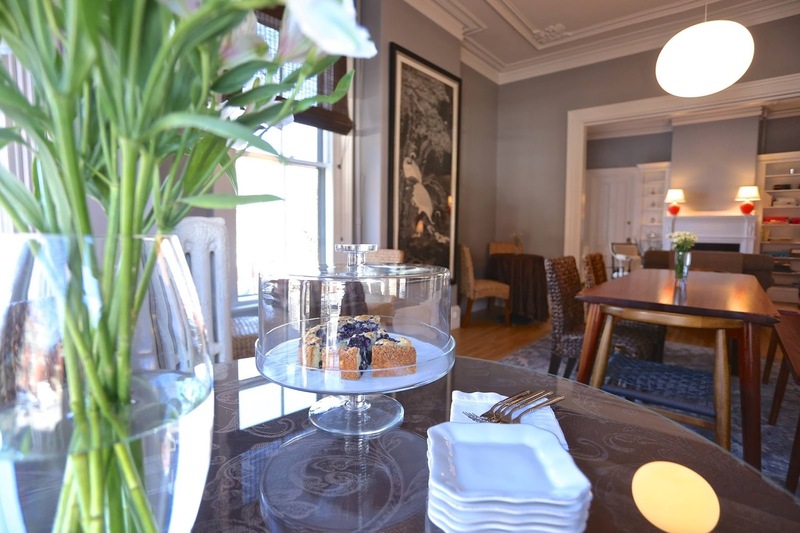 The annex and restaurant are open May-October, but the inn is open year round. Views from the porch, the owner's quarters, many rooms, the grounds. A beautiful, quiet spot at the end of a quiet residential road, but only 15 minutes to Rockland. Strong, financially viable business. For more details, check out the online offering below. Contact me with any questions. And thanks for browsing! 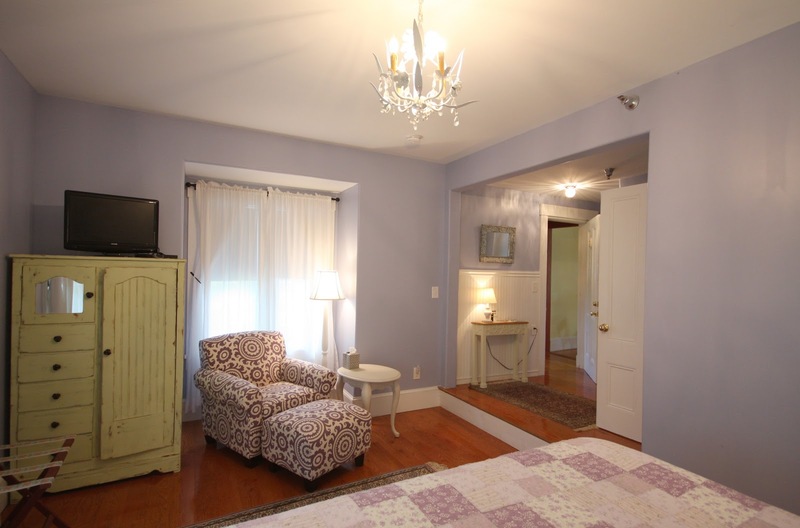 New Freeport, Maine Inn For Sale! This is James Place Inn. 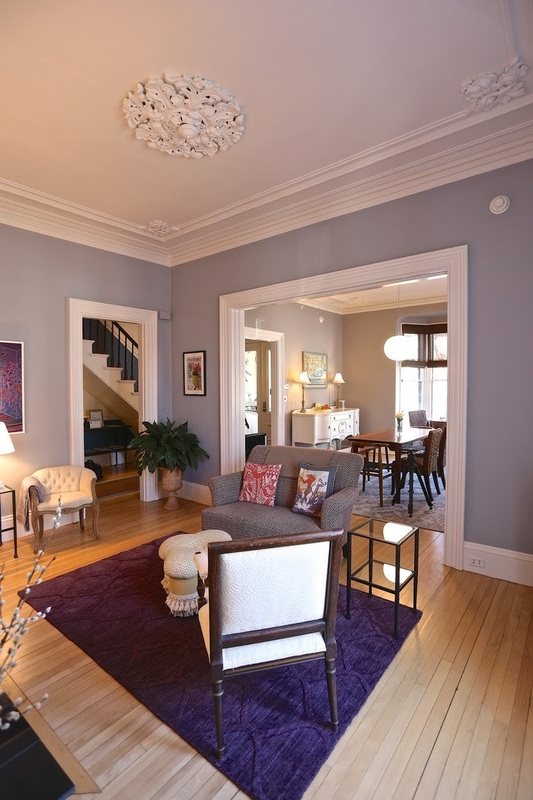 Gorgeous paint colors are different in each room, and each has its own style. 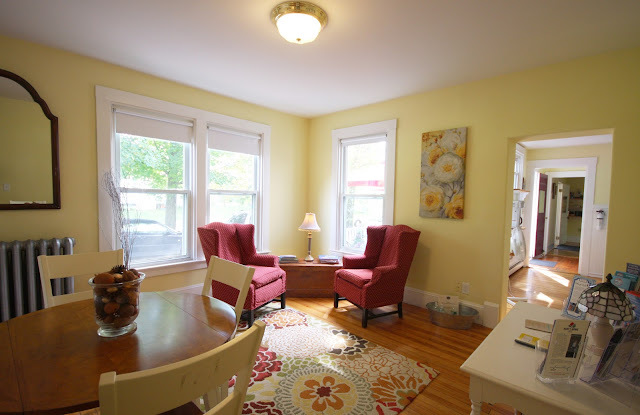 All are spacious and comfortable with lovely natural light. Common rooms are also spacious and comfortable with plenty of natural light. The outdoor dining deck is popular at breakfast or any time of day. Imagine taking a great walk on one of the beaches located within thirty minutes of Freeport, or hiking one of the many beautiful parks nearby. Guests and innkeepers alike can enjoy lobster shacks and lighthouses, beaches and waves, windjammers and museums that surround James Place Inn. It's not just about L.L. Bean! The inn has 7 guest rooms with ensuite baths, 4 with jetted tubs, 1 with a European style walk-in tiled shower, 1 with a fireplace. A bonus of this offering is an owner's home built in 2001 with 3 bedrooms, 2 1/2 baths, living room with fireplace, open kitchen/dining room, radiant floors, walk-in shower, spacious laundry room with cabinetry. New Inn for Sale in Portland, Maine! This highly regarded neighborhood in downtown Portland. Any operating inn in this zone has been grandfathered. 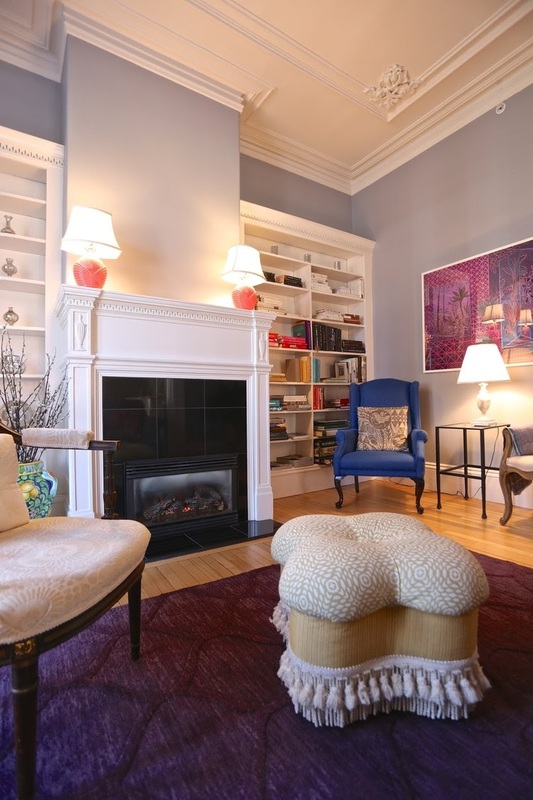 These urban style inns are in demand! This is a Historic John Calvin Stevens Design. 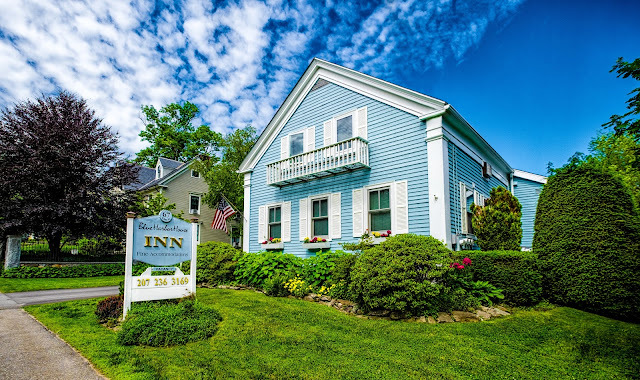 This beautiful inn was designed by John Calvin Stevens and constructed in 1871. The townhouse-style building was originally purchased by Freedom Nash, a local stove dealer, and is rich in original architectural detail. It remained a private residence until 1984 when it was converted to a bed and breakfast. The Inn proudly sits within Portland’s prestigious residential neighborhood near the Western Promenade, renowned for its brick-lined avenues, historic architecture, refined character, Olmsted-designed walkways and grand western views across Maine to the White Mountains of New Hampshire and beyond. The impeccably maintained Victorian architecture of the Inn is on strong display in the common dining and sitting rooms. 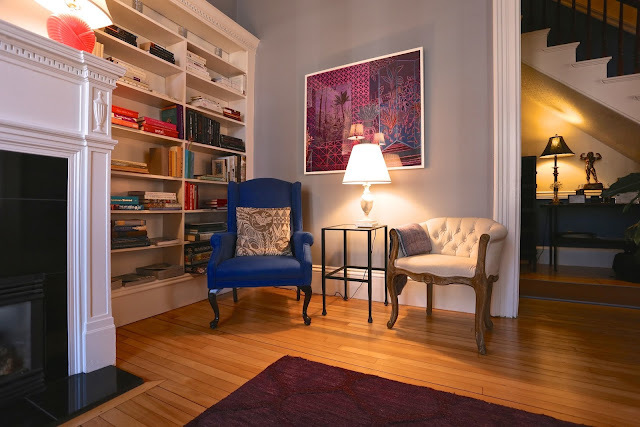 Original details include twelve-foot ceilings adorned with anthemia medallions and large picture windows overlooking serene Pine and Neal Streets. The décor fully complements the Inn’s innate architectural beauty with contemporary style. 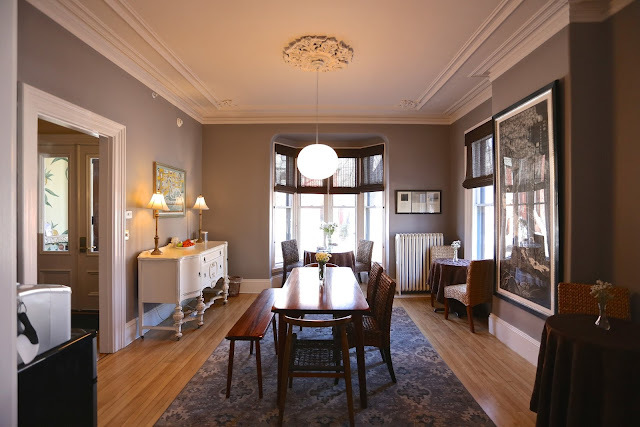 Within short walking distance of the inn are excellent restaurants, shops and Portland’s vibrant Arts District and the Portland Museum of Art. Walking from the Inn to the Old Port District takes about 20 minutes. 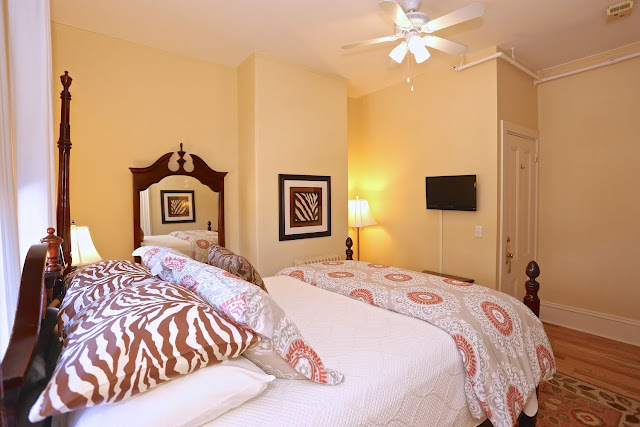 There are 6 guest rooms (one with a private deck), a lovely dining room and sitting room with fireplace. The chic decor is both eye catching and relaxing. This is a buyer's opportunity to live in a vibrant, thriving and ever growing town and become immersed in all that Portland has to offer.